While the benefits of open source software are many managing an open source project does not come without some risk. Every project comes with an element of risk, and just how much risk there is can be broken down to two components; perceived risk and real risk. Being aware of potential risk can often help the project manager avert real risk, but to what degree of accuracy a project manager can assess potential risk is largely dependent upon his or her knowledge and experience with open source software. 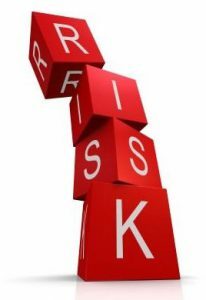 Certainly risk management is a very vital part of an open source project manager’s responsibilities. In fact it is often the level of risk associated with open source software that prevents many individuals and companies from using it. The key with open source software is to realize that once an individual or company uses the software they assume all responsibility for it. Most free, open source software will come with license that states that the user accepts the software ‘as-is’ and that once the company or individual takes receipt of the software all responsibility will be transferred from the original coders to the new owners. There is no warranty with open source software. This in itself carries some risk but provided the company or individual who is now in receipt of the software is familiar with open source software and reading and writing code that risk can be somewhat reduced. Where the largest element of risk occurs is after the project is completed and the new version of the open source software is in the hands of the end user. The initial satisfaction of the end user is important, but equally important, if not more so, is the end user’s ongoing satisfaction. Open source software is often vulnerable to hacking, and it is this that could cause an issue with the end user. The company or individual who provided the end user with the open source software is then responsible for writing patches to block a hacking attempt. With the speed with which hackers develop new malware and ransomware, the software provider may find themselves constantly writing new code to thwart hacking attacks. In recent years open source has received quite a bit of negative publicity, and to a certain extent that publicity has deterred project managers from considering open source software, which is unfortunate as project managers are losing out on the many benefits open source can provide. As the responsibility for finding solutions to any issues that may arise from using open source software shifts from the vendor to the company or individual once they take possession, it absolves the vendor of responsibility but may be more responsibility than many project managers is willing to assume. Despite this transference of responsibility and risk many project managers are using open source solutions for their projects with great results. One factor that may help a project manager decide that open source is right for their particular project is that despite the original code authors absolving themselves of any legal liability should an issue arise they are proud of their work and have a great desire to see it perform extremely well.